By having a major figure from Chinese mythology appear on European shores, Huang Yong Ping examines, the notions of identity and cultural hybridity, as is often the case in his work. The environmental question is also very present in his art where he regularly exposes the paradox of the man sawing the branch he is sitting on, torn between creative abilities and destructive impulses. 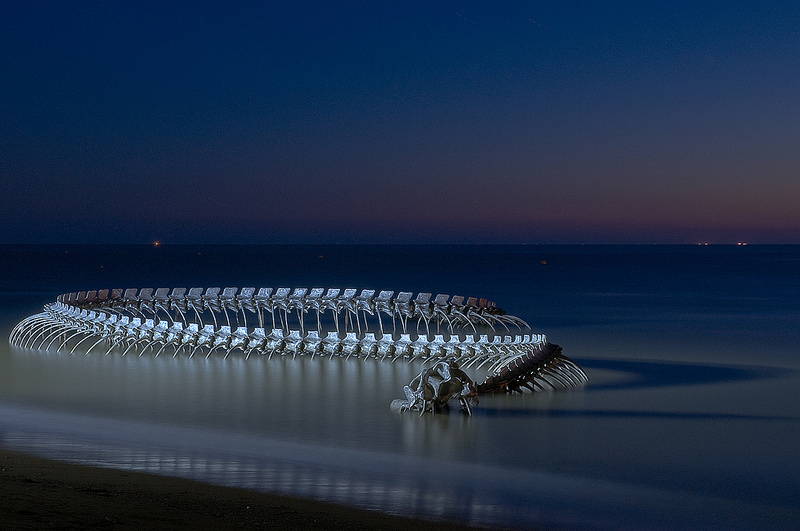 This is one of the many possible interpretations of this work: placed on the beach, the skeleton appears with the tide and, little by little, will be home to marine fauna and flora.